Fig. 7. 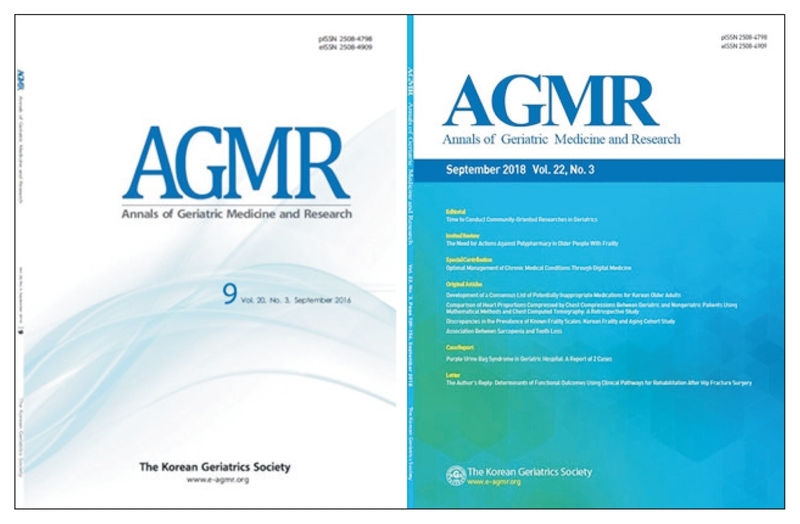 Annals of Geriatric Medicine and Research (AGMR), the English journal of the Society: change of the journal title from The Journal of the Korean Geriatrics Society to AGMR, acronym of the in September 2016, with a change of cover design in 2018.